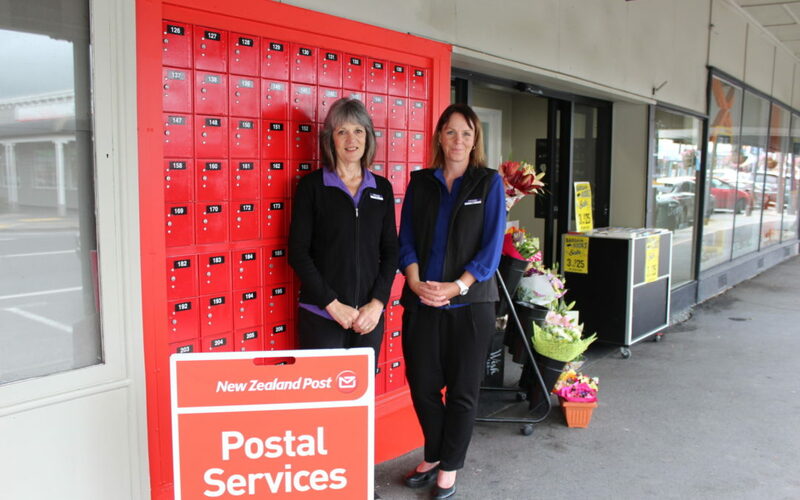 ‘Snail mail’ has found a new home in Take Note Carterton after Tania Goodall took over managing the postal services counter last week. The Carterton Post Shop closed in 2011, with postal services then moved to Video Ezy where they remained until it closed last year. Take Note Carterton took over housing the postal services in December, officially opening in late January. “It’s been a lot of learning and a lot of work though,” said owner Kim Juno. The store was rearranged to make room for the packaging area and fit the 220 post boxes which sit at the front of the building. Juno said the patience of locals was appreciated while they got the system running. “It’s been well received and supported,” she said. Taking on the extra services was a no-brainer for Juno. She said it was important it was accessible to elderly and more isolated members of the community, as it could be difficult for people to travel to Greytown or Masterton for the same services. A spokesperson for NZ Post said the partnership worked well.